STEP ONE. Sit or lay in a place where you will not be disturbed for at least five minutes. Remember to unplug the telephone. Get comfortable. If you are sitting, your back should be straight. Whether sitting or lying down, your legs and arms should not be crossed. If sitting, rest your hands, palms down, in your lap. Your eyes should be closed. STEP TWO. Visualize a golden ball of beautiful, warm light surrounding your feet. If you cannot "see" the ball of light when you visualize it, that is okay. Just know that it is there. Truly know that if your powers of visualization were different you would be able to see it. The ball of golden warm light always brings peace and total relaxation. Wherever the ball of light goes, tension departs. Let it go, and as it goes, feel your feet filled with the warm, golden glow of peace and total relaxation. STEP THREE. Now allow this ball of light to rise up your legs and up your torso. Then allow it to go down your arms to your fingers, and finally up your neck and into your head until you are completely covered with the warm, golden glow of total peace and relaxation, and all tension is gone. If you notice tension anywhere, send the ball of light there and the tension will vanish. STEP FOUR. Stay in this state of deep relaxation for a few moments. 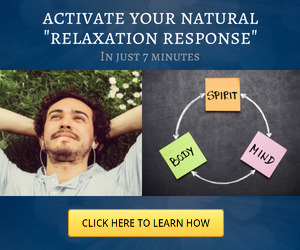 Know that you can return to this state whenever you like simply by doing the relaxation ritual. If you are having trouble sleeping, try this ritual when you lay down at night instead of suffering or taking dangerous pills. Be at one with yourself. STEP FIVE When you are ready to come out of this state of deep relaxation, take three deep breaths and feel fresh life and energy coming into your body with each breath. Be sure to record your experience in your ritual diary. Now, before going further, spend a few days getting used to keeping your diaries, doing the ritual and obtaining a Tarot deck if you do not already have one. A few of my students have related to me that someone told them that the only way to get a Tarot deck is to have a friend give it to you. This is utter nonsense. Find a deck you like and buy it if you do not have one at present. In the first few pages we have already covered a great deal of material. We discussed dreams, ritual work, gave you a ritual to do daily, and told you how to keep a record of your work. This was to get you started on Practical Work as opposed to theoretical knowledge. The assumption was made, however, that you have a basic idea of exactly what magick is. But your definition may not be the same as mine, so let us now try to come to a workable definition of magick. According to the famous occultist Aleister Crowley, magick is "the Science and Art of causing Change to occur in conformity with Will." Crowley was a member of the famous Hermetic Order of the Golden Dawn, which was mentioned earlier. Another member of the Golden Dawn was Dion Fortune. Her definition of magick was the same as Crowley's, except that she considered the "change" to be a change in consciousness (Note: Fortune was a lay psychologist with several books on psychology to her credit under her real name, Violet Firth). But what exactly do these definitions mean? Let's say that you do a magickal ritual to get fifty dollars. It, therefore, is your "Will" to get the money. You go out for a walk, and although when walking it is your habit to go right at a particular street corner, something makes you decide to turn to the left. A block down this street you meet an old friend who returns the fifty dollars you had loaned him several months ago. What made you turn left? According to Crowley's definition, your magickal ritual would have caused some change in the physical world which resulted in your turning in an unusual direction. Perhaps it was a smell, or a telepathic message from your friend or from a higher entity telling you to "turn left!" If you ascribe to Dion Fortune's definition, then you would say that your ritual made a change in your consciousness which gave you the information to turn to the left instead of the right. 2. No matter which definition you use, the actual result is the same. 2. The result functions as if there had been a change in the physical world, regardless of whether there had been a change in the physical world or just a change in your consciousness. Unfortunately, either definition is still too broad. If you cause a change in conformity with Will and call it "magick," then almost anything you do is a magickal act. If it is your will to open a door, then you turn the knob and open the door, by the above definitions you have done a magickal act. In fact, Crowley (his name rhymes with "holy") says that "every intentional act is a Magickal Act." If you follow his line of reasoning there is a great deal of validity in what he says, although it is not what we are seeking at this time. We need to make the definition of magick a bit longer: Magick is the science and art of causing change (in consciousness) to occur in conformity with will, using means not currently understood by traditional Western science. We have added the idea that the magick is accomplished by some means not known by modern science. A ritual which causes something to occur does not make sense to current Western scientific thought. Therefore, "scientists" are inclined to think that real magick, since it doesn't fit into their world view, is nothing more than supernatural hokum. But, magick is not supernatural. If our entire universe came about either as the creation of an intelligent being or beings, or merely as the result of chance events, we still must come to the same conclusion: everything in the universe is natural! Some ancient cultures considered the apparent rise and fall of the Sun to be a supernatural event. As time passed, it was discovered that the seeming rise and fall of the Sun was, in fact, a natural event, caused by the rotation of the Earth. I am firmly convinced that one day magick will be understood in Western scientific terms. History proves this. Reading, writing, mathematics, astronomy, chemistry, medicine, physics and more were all at one time deep occult secrets. Today, many of these things are taught to children before they begin school. The occultism of the past becomes the science of the future. Arthur C. Clarke, the famous science fiction writer and author of 2001: A Space Odyssey, said that any sufficiently advanced technology will appear to be magick to those with lesser technologies. I totally concur. In a sense, then, you are now a scientist of the future. That is why you should follow what is called "the scientific method." This method tries to control all variables in experiments and keeps accurate records of those experiments. This is why your diary is so important. It will show how variables (weather, emotions, etc.) affect your experiments (rituals). I cannot overstress the importance of keeping your magickal and dream diaries. We now have a definition of magick which is far more specific than either Crowley's or Fortune's. Since the results are the same, by the way, I will be dropping Fortune's "in consciousness" from the definition. But the definition we have so far is still not precise enough for our purposes. We have to add to our definition the goal or result of the magick. I divide magick into three categories. It is important to note that these categories are used in this book. Other people differ as to their definition of the different types of magick. Some use fewer categories, others more. Here are the descriptions of each category. Black Magick is the science and art of causing change to occur in conformity with will, using means not currently understood by traditional Western science, for the purpose of causing either physical or non-physical harm to yourself or others, and is done either consciously or unconsciously. I will be discussing Black Magick only from the standpoint of how to avoid accidentally (or purposely) becoming a black magick practitioner. Grey Magick is the science and art of causing change to occur in conformity with will, using means not currently understood by traditional Western science, for the purpose of causing either physical or non-physical good to yourself or others, and is done either consciously or unconsciously. Let us say that you do a spell to help a friend regain her health. By definition, this is Grey Magick because you are doing something for the physical good of another person. However, because you did the Grey Magick to help another, you end up feeling that you are closer to Divinity, closer to the Knowledge and Conversation of your Holy Guardian Angel. Thus, it is also White Magick. On the other hand, let us say that you did a ritual to obtain a thousand dollars. Unlike some philosophies, the traditions of magick hold that there is nothing wrong with using magickal abilities to advance yourself in this world. Yes, it is perfectly fine to use your magickal abilities and knowledge to get ahead on this physical plane, to get money, friends, love and fame. But... let us assume that after doing your ritual to obtain the thousand dollars your uncle dies in a car crash and leaves you a thousand dollars in his will. Yes, you have attained your end, but you have done it using Black Magick; you have indirectly (or perhaps we could say directly) killed a person. Some of you may even be thinking now, "Well, so what? I got the money I wanted." Yes, this is true. But there is always a price to pay. "As you sow, so shall ye reap." If you have caused evil, if you have been a source of spiritual darkness, it will surely return to you. In many Wiccan traditions it is believed that what you do will return to you three-fold. Those doing Black Magick always have a heavy price to pay. I have a friend named Robin who usedtobea Satanist and a black magician. She told me that she could always tell when a curse or black magick spell she had worked had come to fruition because something unfortunate would happen to her! This is not meant to be a lecture telling you that you should never do Black Magick. Rather, it is intended to show you what to expect if you try. Just as there is a law of gravity, so too is there a an inviolable law of what is called in the East, Karma, and by Kabalists Tikune (pronounced tee-koon). Put out good and you will receive good. Put out evil, even unintentionally, and evil is what you will get. Such is the law. So how can you avoid falling into the pit of the black magician? First, by practicing White Magick. This is why the first part of this course is only involved in teaching White Magick. Do not ignore this work, as this course is cumulative. Your development as a powerful (grey) magician and what happens in the future in this course is dependent upon what you are doing now. Second, before doing any Grey Magick you should always do a divination to determine the effect and the outcome of your magick. This is a reason why learning the Tarot or some other divinatory system is important. 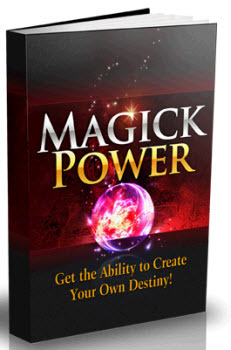 On the following pages you will discover meanings of the 22 Major Arcana cards of the Tarot. An "R" is followed by the meaning of the card if it appears reversed (the picture is upside down) to you. There are no such things as the "True Meanings" of the cards. The meanings here are based upon the teachings of the occultists and Kabalists A.E. Waite and S.L. MacGregor Mathers. For the next few days you should become familiar with the deck and the definitions given here for the Major Arcana. For the time being, ignore any instruction books on the Tarot which you may have or which were included with the deck. Later, you can add to the system given here from information learned elsewhere. Using the cards for divination purposes will be explained in the next part of this lesson. 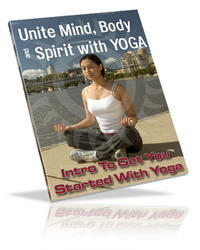 What is workable definition for hatha yoga?